St. Martin's Press, 9781250071521, 256pp. After she packed up her British worldview (that most things were basically rubbish) and moved to America, journalist and documentary filmmaker Ruth Whippman found herself increasingly perplexed by the American obsession with one topic above all others: happiness. The subject came up everywhere: at the playground swings, at the meat counter in the supermarket, and even—legs in stirrups—at the gynecologist. The omnipresence of these happiness conversations (trading tips, humble-bragging successes, offering unsolicited advice) wouldn’t let her go, and so Ruth did some digging. 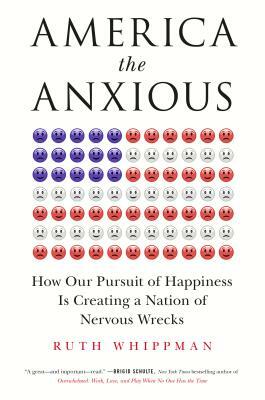 What she found was a paradox: despite the fact that Americans spend more time and money in search of happiness than any other nation on earth, research shows that the United States is one of the least contented, most anxious countries in the developed world. Stoked by a multi-billion dollar “happiness industrial complex” intent on selling the promise of bliss, America appeared to be driving itself crazy in pursuit of contentment. So Ruth set out to get to the bottom of this contradiction, embarking on an uproarious pilgrimage to investigate how this national obsession infiltrates all areas of life, from religion to parenting, the workplace to academia. She attends a controversial self-help course that promises total transformation, where she learns all her problems are all her own fault; visits a “happiness city” in the Nevada desert and explores why it has one of the highest suicide rates in America; delves into the darker truths behind the influential academic “positive psychology movement”; and ventures to Utah to spend time with the Mormons, officially America’s happiest people. What she finds, ultimately, and presents in America the Anxious, is a rigorously researched yet universal answer, and one that comes absolutely free of charge. RUTH WHIPPMAN is a British writer, journalist, and documentary maker living in the United States. Her essays and comment pieces have appeared in various publications including the New York Times, The Independent, The Guardian and the Huffington Post. She graduated from Cambridge University and now lives in California, where she is the proud mother of two little boys.